We focus on developing algorithms to process text and to make their information accessible to many Natural Language Processing-based applications. We also specialize in the Korean Language Processing and keep some Korean Language Processing tools and resources. If you are interested, please contact us! We are working on Deep Learning-based Language Processing. Please refer to related papers. We are working on the Korean version of Temporal Awareness and Reasoning Systems for Question Interpretation, following the work of TARSQI in Brandeis University. Currently, we are developing the Korean TimeML (Markup Language for Temporal and Event Expressions). Reasoning about the persistence of events (how long does an event or the outcome of an event last). The KOLON(KOrean Lexicon mapped onto ONtology) - we map Korean nouns and predicates (verbs and adjectves) from the Sejong Electronic Dictionary onto the Mikrokosmos Ontology developed by New Mexico State University. The KOLON is different from other Wordnets for Korean in that it separates concepts from lexical items, and lexical items are mapped onto the concepts, which ends up combining ontological relations with lexical constrains, and achieving byproduct, lexical hierarchies. Lexical items now have various lexical relations such as hypernymy and homonymy, syntactic information such as subcategorization, and semantic information such as conceptual structures (semantic classifications). The Resource browser will be available pretty soon. We are also working on the methods for automatic clustering of similar words from the web. Word Similarity for unlisted words in a dictionary is important for NLP work. Our similarity measure for Korean helps us to enrich our lexical resources with those newly created or unlisted words. Analysis of the spoken Korean language. We are searching for ways of doing chunking and partial spoken language analysis. Construction of a system of semantic categories applied to the Korean language. As part of the work on constructing the 21st Century Sejong Electronic Dictionary, we have been in charge of its "special words", which are abbreviations frequently found in texts, recently made words, proper nouns, foreign words, in short, words that are not listed in dictionaries but are essential for the research on Korean language processing. Also, we have been working on the mapping of Korean basic verbs and nouns over the Mikrokosmos Ontology, which is basic for Korean language processing. Construction of an ontology by structuring various concepts, and, following this, trying to classify the Korean lexicon, which is used for establishing semantic relations and constructing lexicons on specialized fields. Research on the application of an ontology in an actual system, based on experience in the development of an actual ontology, Mikrokosmos Ontology at CRL of New Mexico State University. Research on the solution for Korean words' suitableness based on language resources rooted in ontologies, as well as research on ontology integration. Research and use of XML, the widely used eXtensible Markup Language, for computational linguistics and NLP. Research on a large-scale (multilingual) language database. Development of tools based on XML for the development of grammars for theoretical linguists. Research on information retrieval based on natural language. Research on an ontology-based highly efficient system. By making use of collocations, morphology, grammatical properties, we have created a database, and we are now working on how to get a higher performance from the lexical information retrieval system based on existing theoretical lexical information, and how to improve the precision of the calculation model for the statistical classification of documents. We are applying linguistic information (part of speech, meaning) to decrease the vector space, and through this grasp the character of the text to be able to analyze documents by automatic question-and-answer system, and automatic grading of essays. WISE, "World Information Search Engine", is the automatic answering system based on Korean language made by our Computational Linguistics Laboratory at Seoul National University. Youngsam Kim, and Hyopil Shin (2017), Finding Sentiment Dimension in Vector Space of Movie Reviews: An Unsupervised Approach, Journal of Cognitive Science 18-1. Akihiko Yamada, and Hyopil Shin (2017), Applying Word Embeddings to Measure the Semantic Adaptation of English Loanwords in Japanese and Korean, Language Research 23-3. Munhyong Kim, and Hyopil Shin (2016), Automatic Product Review Helpfulness Estimation based on Review Information Types, Journal of KIISE vol. 43 No. 9. Hyopil Shin, Munhyong Kim, and Suzi Park (2016), Modality-based Sentiment Analysis through the Utilization of the Korean Sentiment Analysis Corpus, Eoneohag 74. Yulia Otmakhova and Hyopil Shin (2015), Do we Really Need Lexical Information? Towards a Top-down Approach to Sentiment Analysis of Product Reviews, NAACL-HLT 2015, pp. 1599-1568. Munhyong Kim and Hyopil Shin (2014), Pinpointing Sentence-Level Subjectivity through Balanced Subjectivity and Objectivity Features, Lecture Notes in Computer Science: Advances in Natural Language Processing, Springer. Hyopil Shin (2014), A Corpus Study of Nested Sources for Subjectivity Analysis, Eoneohag 69. Hyopil Shin and Munhyong Kim (2013), Specifications and Analysis of the Korean Sentiment Analysis Corpus, Language Research 49-2. Youngsam Kim, Honggi Kim, and Hyopil Shin (2013), A comparative study of Entry-Grid and LSA models on Korean Sentence ordering, Korean Journal of cognitive science 24-4. Youngsam Kim, Munhyong Kim, Andrew Cattle, Julia Otmakhova, Suzi Park, and Hyopil Shin (2013), Applying Graph-based Keyword Extraction to Document Retrieval, IJCNLP 2013. Youngsam Kim, and Hyopil Shin (2013), Romanization-based Approach to Morphological Analysis in Korean SMS Text Processing, IJCNLP 2013. Munhyong Kim, Yu-Mi Jo, Hyun-Jo You, Yoon-shin Kim, Hayeon Jang, Seungho Nam, and Hyopil Shin (2012), Semantic Types and Representation of Korean Set Time Expressions, , Language and Information 16-1. Yu-Mi Jo, Munhyong Kim,Hyun-Jo You, Yun-Shin Kim, Seungho Nam, and Hyopil Shin (2011), Problematic Set-Denoting Temporal Expressions in the Framework of ISO-TimeML, ICSC2011 Workshop on Semantic Annotation for Computational Linguistics Resources. Hyun-Jo You, Hayeon Jang, Yu-Mi Jo, Yun-Shin Kim, Seungho Nam, and Hyopil Shin (2011), The Korean TimeML: A Study of Event and Temporal Information in Korean Texts, Language and Information 15-1. Hayeon Jang and Hyopil Shin(2010), Sentiment Analysis of Korean Using Effective Linguistic Features and Adjustment of Word Senses, Language and Information 14-2. Minsu Ko and Hyopil Shin (2010), Grading System of Movie Review through the Use of An Appraisal Dictionary and Computation of Semantic Segment, Korean Journal of Cognitive Science 21-4. Juliano Paiva Junho, Yumi Jo and Hyopil Shin (2010), The KOLON System: Tools for Ontological Natural Language Processing in Korean, PACLIC24. Hayeon Jang and Hyopil Shin (2010), Effective Use of Linguistics Features for Sentiment Analysis of Korean, PACLIC24. Hyopil Shin (2010), KOLON(the KOrean Lexicon mapped onto the Mikrokosmos ONtology): Mapping Korean Words onto the Mikrokosmos Ontology and Combining Lexical Resources, Eoneohak 56. Seohyun Im, Yoonshin Kim, Youmi Cho, Hayun Jang, Minsu Ko, Seungho Nam, and Hyopil Shin (2009), KTARSQI: The Annotation of Temporal and Event Expressions in Korean, 21st Annual Conference on Human and Cognitive Language Technology. Hyunjo You, Munhyung Kim, Juliano Junho, Seungho Nam and Hyopil Shin (2009), Saken: the Korean Event Tagger, 21st Annual Conference on Human and Cognitive Language Technology. 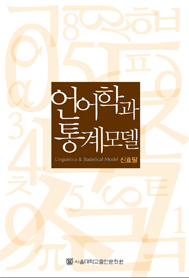 Hyopil Shin (2009), Linguistics and Statistical Models(언어학과 통계 모델), Seoul National University Press. Seohyun Im, Hyunjo You, Hayun Jang, Seungho Nam , and Hyopil Shin (2009), KTimeML: Specification of Temporal and Event Expressions in Korean Text, The 7th Workshop on Asian Language Resources, Association for Computational Linguistics. Hyopil Shin (2007), A Statistical Approach to Collocations Based on the Log Likelihood Ratio (in Korean), Eoneohak 47. Jung-Min Kim, Hyopil Shin, and Hyoung-Joo Kim (2006), A Multi-Strategic Mapping Approach for Distributed Topic Maps(in Korean) Journal of KISS: Software and Applications 33-1. Hyopil Shin (2005), Some Considerations on the Analysis of Linguistic Data based on Statistics (in Korean), Language Research 41-3. Insik Cho, HyunJo Yoo and Hyopil Shin (2004), Specialized Words in the 21st Sejong Electronic Dictionary (in Korean) Korean Dictionary 3. Hyopil Shin (2004), Ontolgoy and Semantic Web As a Knowledge Base (in Korean), Communications of the Korean Information Processing. Hyopil Shin (2003), Constructing A Korean-English Bilingual Dictionary For Bilingual Dictionary For Well-formed English Sentence Generations in A Gloss-based System (in Korean) Korean Journal of Cognitive Science 14-2. 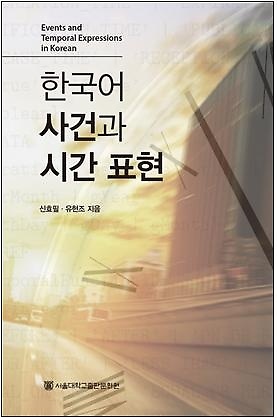 Hyopil Shin (2003), A Knowledge-based Question-Answering System: With a View to Constructing A Fact Database (in Korean), Korean Journal of Cognitive Science 13-1. Hyopil Shin (2001), Toward More Efficient Processing of Typed Feature Structures in Korean, Eoneohak 29. Hyopil Shin and Eugene Koontz (2001), KaBAL(Knowledge Base Access Language): A Language For Querying And Editing XML Documents, Applied To Linguistic Knowledge Base, IEEE NLP-KE, Tucson, USA. Hyopil Shin and W. Ogden (2001), Combining Summarization and Machine Translation Facilities to Build an Interactive Cross-Language Retrieval System, The 19th International Conference on Computer Processing of Oriental Languages, Korea. Hyopil Shin and Spencer Koehler (2000), A Knowledge-Based Fact Database: Acquisition to Application, Knowledge Based Computer Systems 3, Allied Publisher. Hyopil Shin and Spencer Koehler (2000), Acquiring Factual Knowledge Through Ontological Instantiation, The Series of Lecture Notes in Computer Science, vol. 1886, Springer-Verlag Publisher. Hyopil Shin and Jerrold Stach (2000), Using Long Runs as Predictors of Semantic Coherence in a Partial Document Retrieval System, Workshop of Syntax and Semantic Complexity in Natural Language Processing Systems, ANLP/NAACL 2000, Seattle, USA. Hyopil Shin and Jerrold Stach (1999), Incorporating Probabilistic Semantic Categories (SEMCATs) Into Vector Space Techniques For Partial Document Retrieval, Journal of Computer Systems and Information Management, vol. 2-3, Maximillan Press. Hyopil Shin (1999), The VP-barrier Algorithm for a Robust Syntactic Processing in Head-Final Languages, Proceedings of the Natural Language Processing Pacific Rim Symposium, Beijing. Hyopil Shin (1999), Maximally Efficient Syntactic Parsing with Minimal Resources, 99 Korean and Korean Language Processing. Hyopil Shin (1999), Syntactic and Semantic Interfaces for Lexically Unrealized Relations, Proceedings of Mid-America Linguistics Conference, University of Kansas. W. Ogden, J. Cowie, M. Davis, E. Ludovik, H. Molina-Salgado and Hyopil Shin (1999), Getting Information from Documents You Cannot Read: An Interactive Cross-Language Text Retrieval and Summarization System, Joint ACM Digital Library/SIGIR Workshop on Multilingual Information Discovery and Access (MIDAS), Univ. of California, Berkely. Hyopil Shin, Incorporating Semantic Categories Into Partial Information Retrieval System, M.S. Thesis, University of Missouri-Kansas City. Hyopil Shin (1996), Syntactic and Semantic Structure of the Korean Relative Constructions: A Unified Approach, Taehaksa. J. Oh and Hyopil Shin (1995), Lexaurus: A Multilingual, Ontology-based Bilingual Electronic Dictionary, Language Research 31-3, Seoul National University.